In March 2015, Dr. Andrew Wong opened the doors to Capital Integrative Health. It was his first co-endeavor in operating a private practice and he knew from the get-go that his team would need an effective and straightforward EHR to support their less-traditional medical services. "I have been using EHRs throughout my medical practice," said Wong. "I knew we definitely wanted to use an EHR in our practice so adjusting to that decision was not a big leap from how I was used to operating in the previous 8-9 years." Capital Integrative Health, located just outside of Washington DC, provides patients with a "holistic, integrated approach to healthcare." Its clinicians work together as a team to administer diagnoses and create a strategic treatment plan that involves a whole body-mind-spirit approach to well being. "We primarily see adult patients, but sometimes we see adolescents for consults. We practice a more nutritional-based, natural type and functional type of medicine," he said. "The variety of services available at Capital Integrative Health range from primary care and functional medicine to acupuncture and nutritional & health coaching." Dr. Wong's experience with EHRs in the past was limited to systems more exclusively designed for larger-scale practices. He graduated from Tufts University School of Medicine in 2004 and completed his residency in internal medicine at Georgetown University. 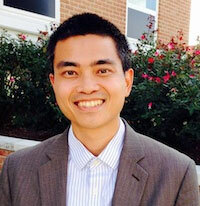 After his training, Dr. Wong practiced medicine at larger hospitals in Bethesda, MD such as John Hopkins. However, a large-scale EHR system was neither feasible nor practical for the needs of Capital Integrative Health. "We needed an EHR that was flexible and would allow our physicians to work together to administer patient care," said Dr. Wong. "Our practice accepts insurance as well, so another key point was finding a system that would manage our claims processing." Capital Integrative Health implemented ChARM EHR immediately when the organization first opened in March. Its clinicians wanted to move away from old-school paper methods of health recording toward more efficient and electronic mechanisms of communication. "What attracted me to ChARM was the ease-of-use and the simplicity," said Dr. Wong. "But still it was comprehensive enough to match the needs of our practice. ChARM EHR is very cost effective for us and we were able to start right away with the free trial." Capital Integrative Health utilizes ChARM EHR to manage the administrative side of its practice as well, including the Revenue Cycle Management (RCM) service. Although they accept insurance for some services, in cases where services are not billable, "ChARM makes it very easy to separate some of the non-covered services." "I won't lie, billing can be very tough. Accepting insurance is uncommon in my area of expertise and I knew I wouldn't be able to operate my practice successfully without some sort of billing service. However, claim submission with ChARM EHR is prompt. I can just email them through the portal and it's very convenient for me. I don't even have to call anyone." When the practice first opened its doors, Capital Integrative Health had zero registered patients. Now only seven months later, they have over 930. "It was pretty amazing to me to see how much we've grown in the past six months," said Dr. Wong. "I projected we'd be at around 450-500 patients for the first year and we've certainly surpassed that expectation." Wong has also just hired a part-time nurse practitioner to join the team. In total, Capital Integrative Health has 10 practitioners using ChARM EHR in the office. "I think at this point it's a little bit about controlling growth —ChARM has helped us monumentally because it's very easy for our clinicians to figure out the templates and charts. Additionally, the online patient portal makes it easy for patients to schedule and request appointments. We're getting a good number of new patients via this module and patients love the online feature." "I am extremely happy we made the decision to go with ChARM EHR. I've been pleasantly surprised with the response and timeliness of action on the part of ChARM's support team who have done an excellent job." What You Like to Say to Other Customers About ChARM EHR and RCM? "I would definitely recommend both! ChARM has been very easy to learn and easy-to-use. It's cost-effective —the list of positives goes on. I would also say that a lot of our suggestions are put into the system within a couple of weeks. I don't think any other EHR system would be so responsive. Switching to ChARM will make you feel heard and make you feel as though you and your practice matter."